The TOVP will be filled with many beautiful, hand-crafted murtis of important devas made by local artisans. These will add to the astounding nature of the temple itself and also enhance the richness of the culture it represents. 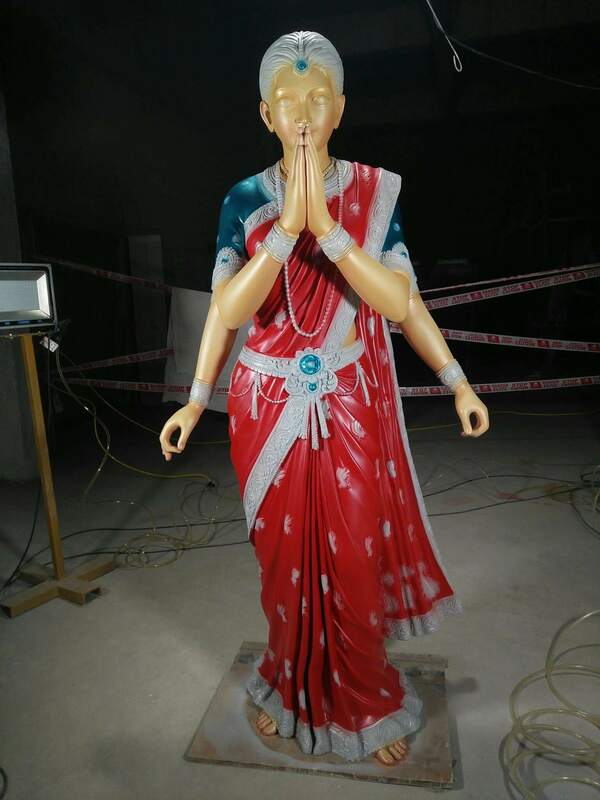 Pictured is a colorful murti of Goddess Lakshmi. 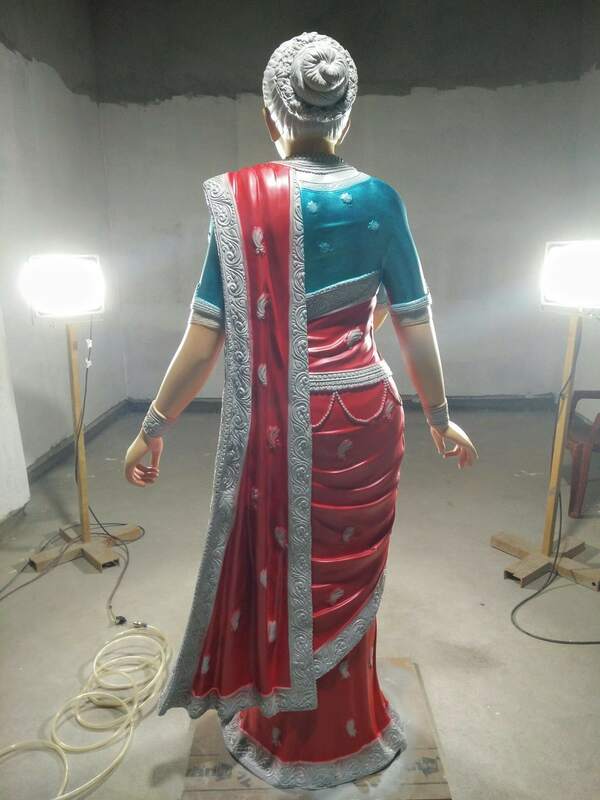 This sculpture, along with many other demigods in poses of worship of the Supreme Lord, will decorate the Nrsimha wing hall on the first floor. 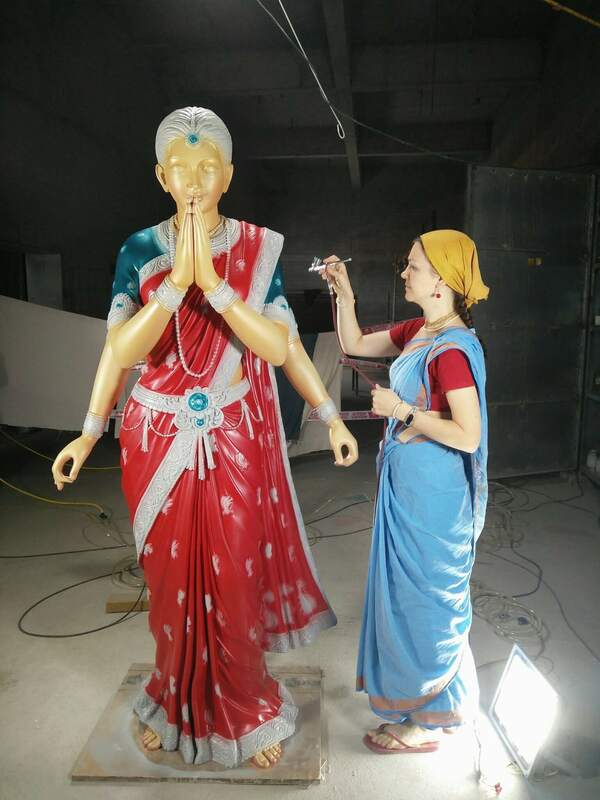 They are made of high quality fiberglass and will be intricately and stunningly painted.